Reference management is the act of organising references and generating reference lists or bibliographies in a variety of styles e.g. for a thesis, or for journal or book publishing. Many researchers now use software to do this – this can store both the reference and the PDF of the paper you are reading. Edinburgh Napier offers training & support with Endnote and Mendeley reference management software - use the one which suits your needs best, or choose another reference manager. Look at the reference management software your university supports, the word processors they link with, and which referencing guidelines you should use. Talk to colleagues about their experiences with reference management software, how they use it and why they chose a particular product. Subject librarians can also advise. Beware there will be a learning curve while you explore the software – get training if you can. Most universities offer this – contact your subject librarian. Reference management software contains many standard academic journal referencing styles. When publishing your research you will be able to make one click edits to fit with the style of the journal(s) you are submitting to. Always organise or tag your references in a manner that suits you. – Consider using folders, keywords, themes, concepts, authors, methodologies, etc. This ensures easy, organised retrieval of all your references when you start writing. 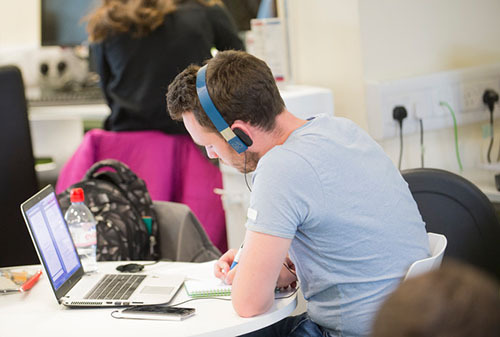 The library at Edinburgh Napier offers written guides in the use of Endnote and Mendeley and runs training workshops in each. See our online Training & Events Calendar for more information.